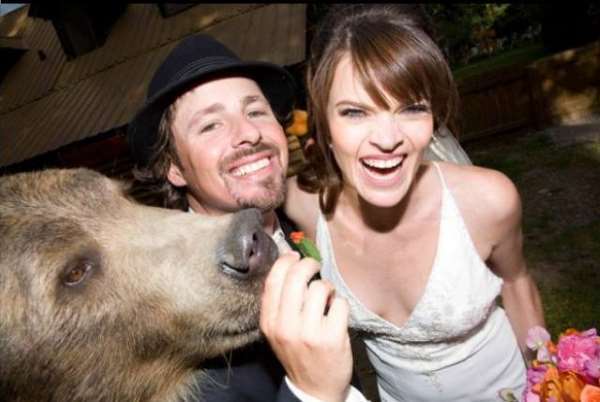 ShangralaFamilyFun.com - Shangrala's Brutus The Bear! 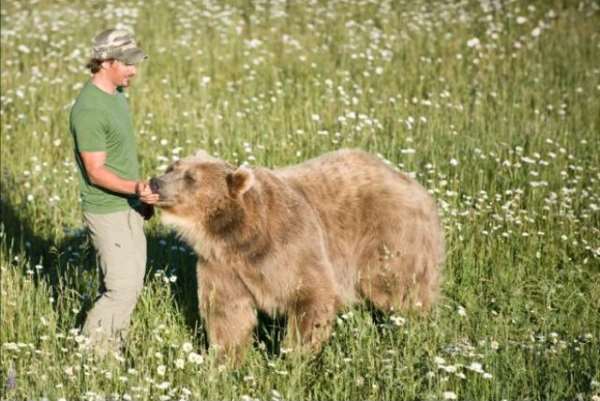 Meet Brutus. 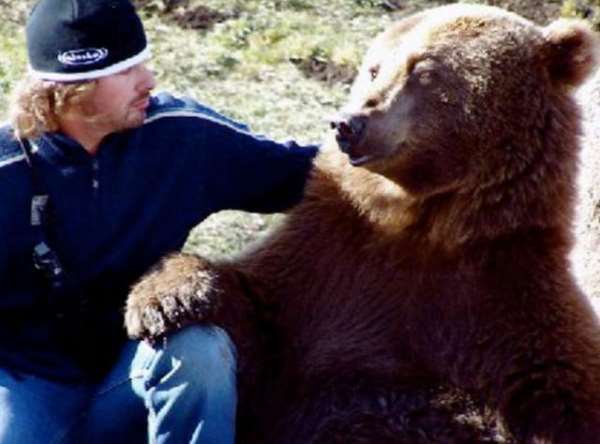 He and Casey Anderson are best buddies. 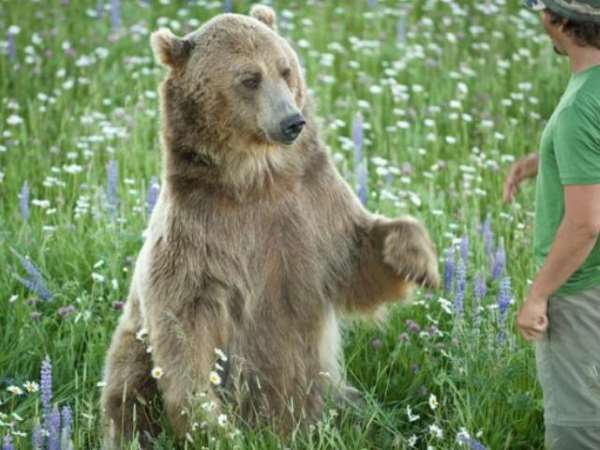 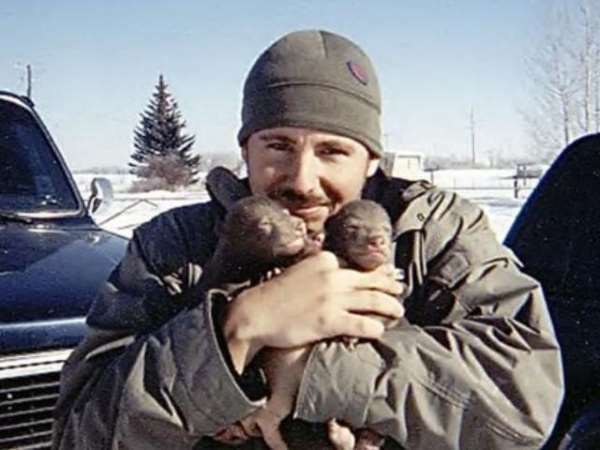 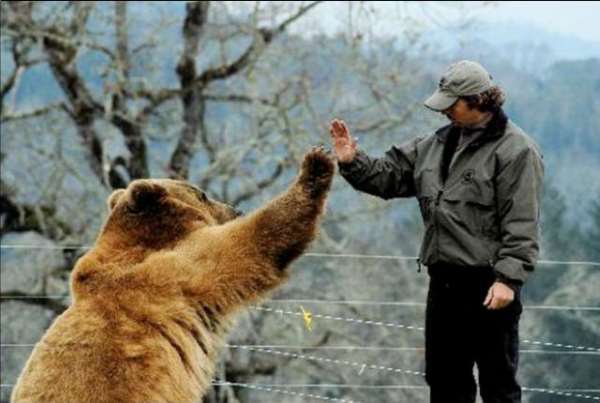 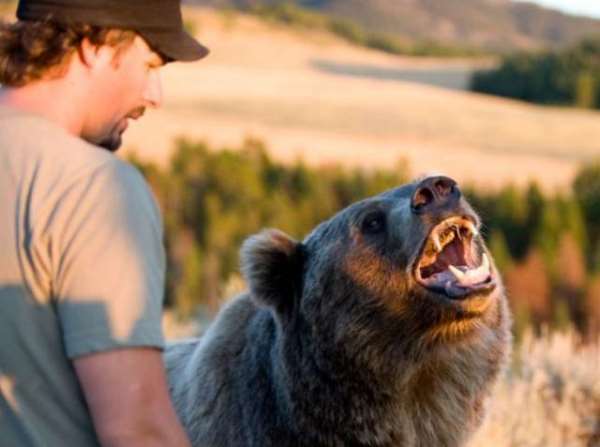 Mr Anderson, who created the Montana Grizzly Encounter animal sanctuary, said it was his friendship with Brutus that prompted him to take action on preserving the creature's futures. 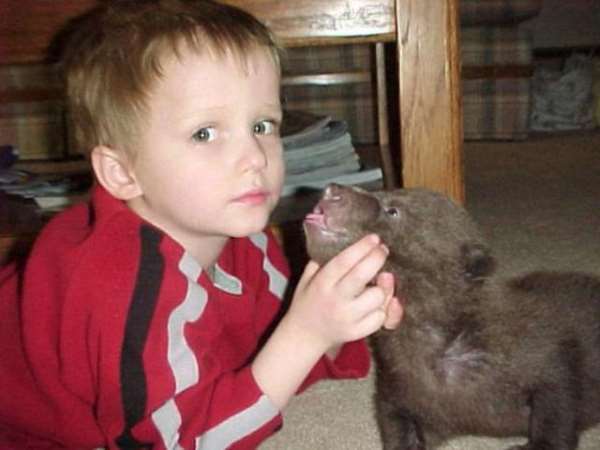 The pair's unlikely friendship began several years ago, when Anderson met Brutus in a wildlife park where the then cub was born. 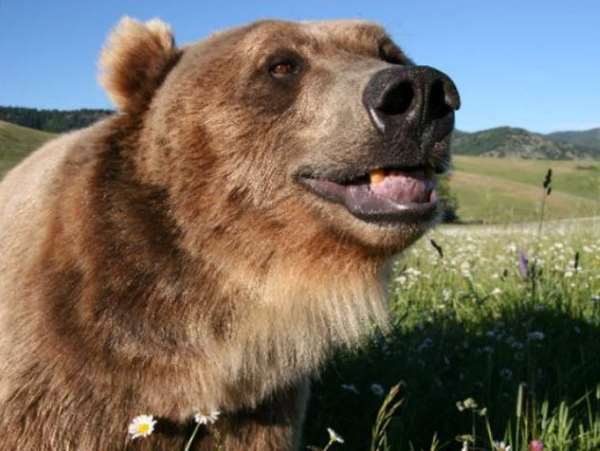 The reserve suffered from over- population, and Brutus was destined to remain in captivity or be destroyed. 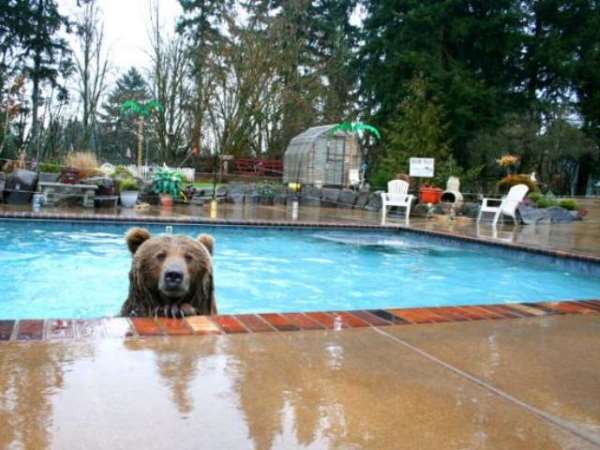 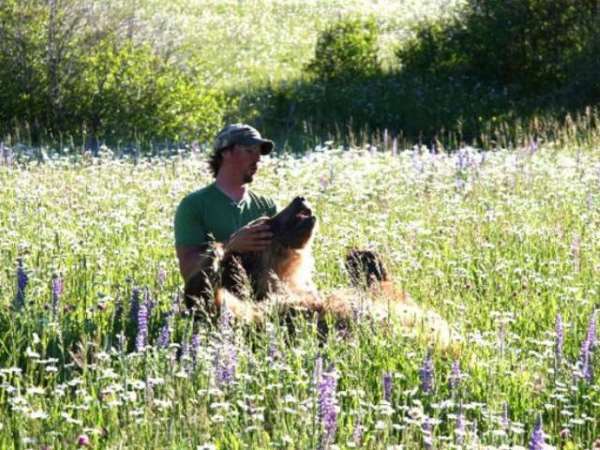 He adopted the orphaned cub and began the sanctuary so Brutus 'could act like a real bear.' 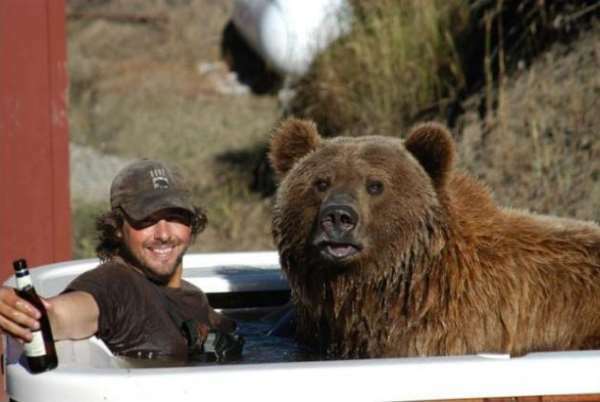 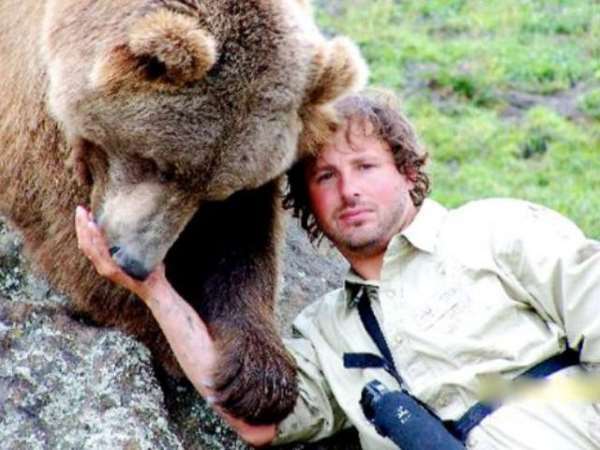 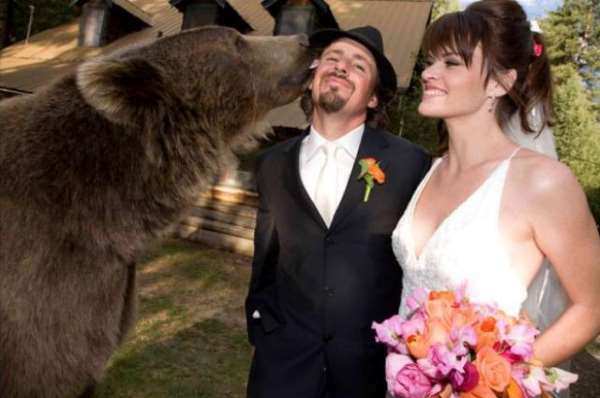 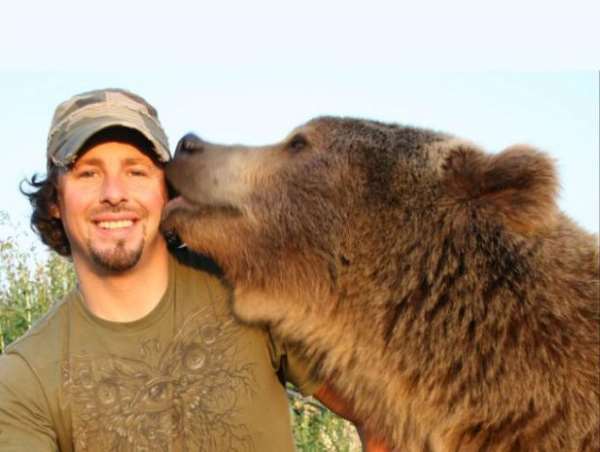 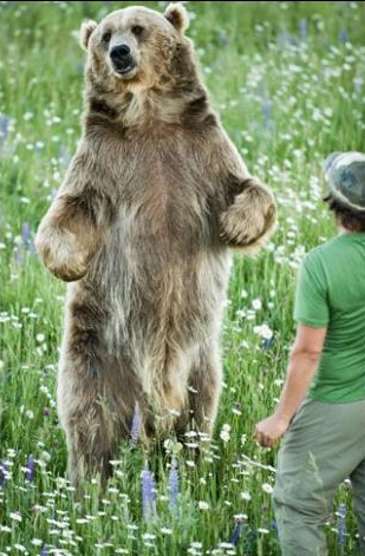 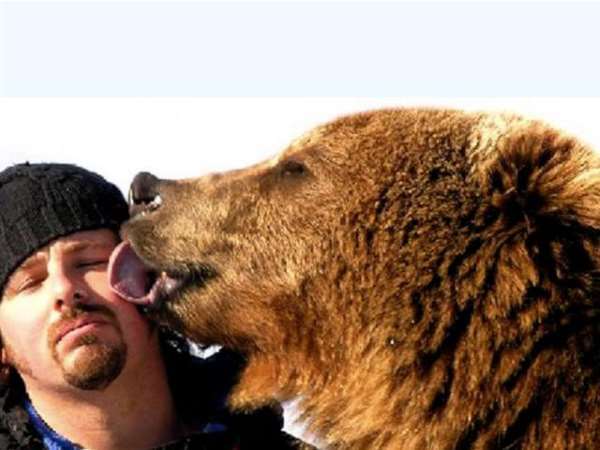 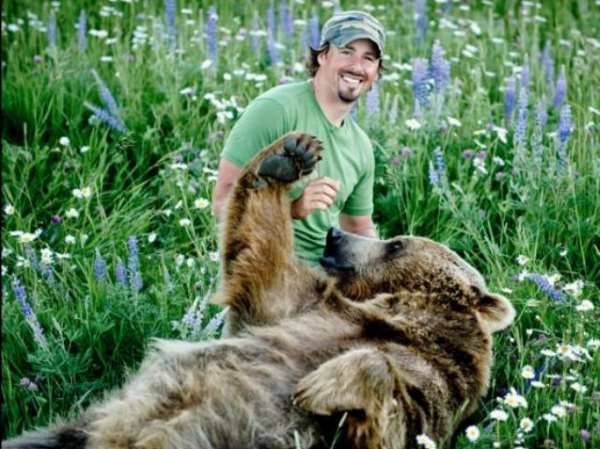 Naturalist Casey Anderson is so close to 800-pound Brutus that when Anderson married Charlie and the Chocolate Factory actress Missi Pyle the bear stood in as best man. 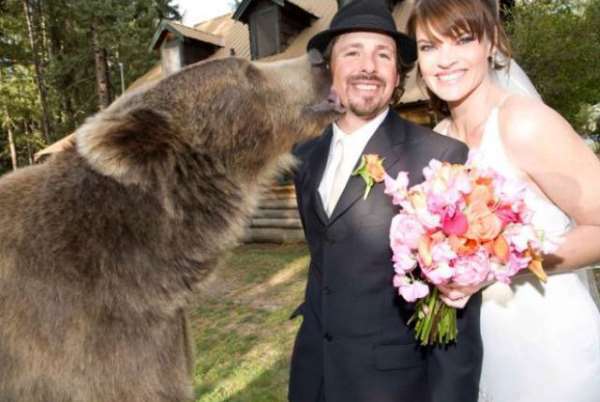 And while most partners might be put off by a third wheel in the relationship, the new Mrs Anderson would not have it any other way. 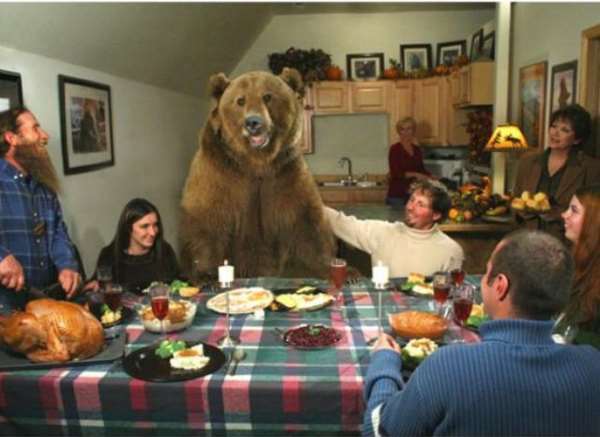 In fact, the creature is so fond of humans that he has become an integral part of the family, and even has the occasional place at the kitchen table and has appeared in a movie with Pyle. 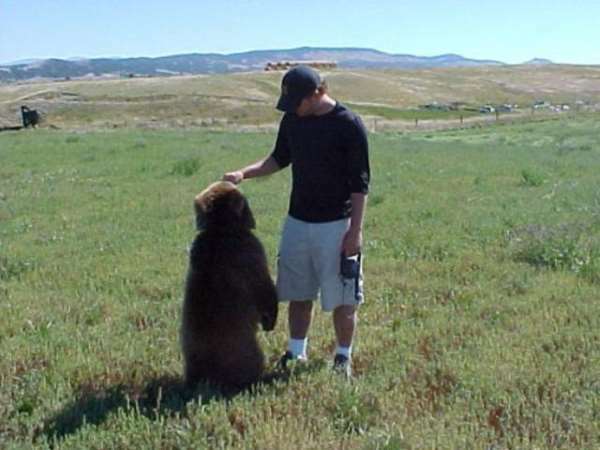 Casey insists bears are similar to humans in that they are intelligent, have personality, and according to him can even shed tears. 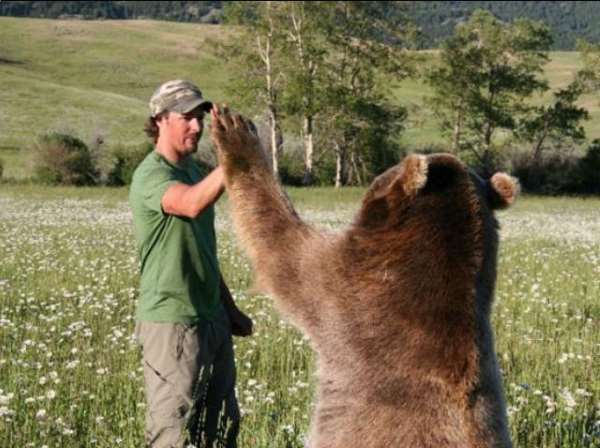 And while most cynics might argue these pictures are the result of Photoshop technology, Anderson and National Geographic have vouched for their authenticity. 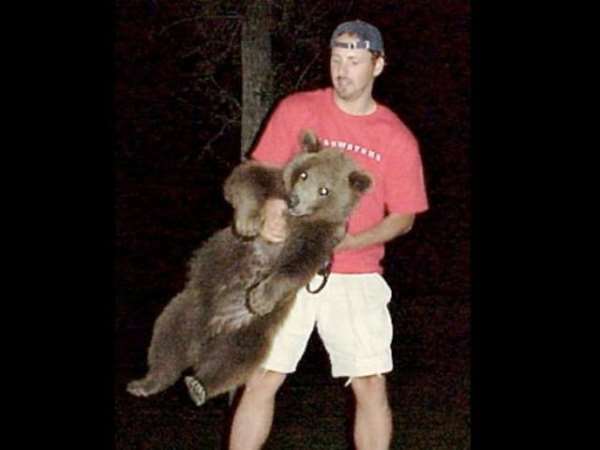 SEE ALSO: Stepan The Bear!